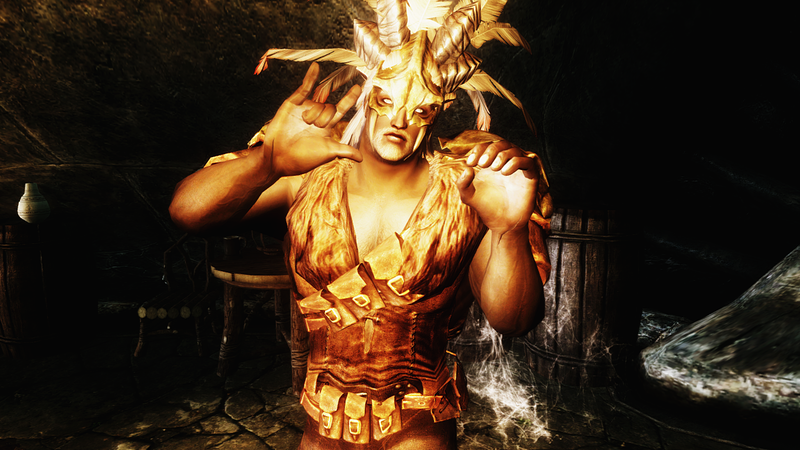 DESCRIPTION This file replaces: Dragonborn DLC armor: Bonemold armors (all three variants) Chitin armors (both Heavy and Light) Nordic carved armor Stalhrim armor (both Heavy and Light) Dawnguard DLC armor: Snow Elf armor Falmer armor Dawnguard armors Compatible to any armor retexture. Nothing unusual. All changes can be seen on screens. Screens were done with Samson 100. I haven't modified Vampire armors because there are already a refit made by Hymnaru. IMPORTANT - gloves and boots weren't changed If you notice any clippings or something just write here or in personal messages. Refits of clothes will be added later. INSTALLATION Drop files to Skyrim folder UNINSTALLATION As usual delete files added by archive. Vampire armors&Moth priest robe revealings were added This file replaces: Dragonborn DLC clothes: Cultist robe Dunmer outfit (fixed) Miraak robes Skaal outfit Telvanni robe Temple robe Dawnguard DLC clothes: Bloody rags (both types) Vampire clothes Vampire armors Moth priest robe Compatible to any clothes retexture. Nothing unusual. All changes can be seen on screens. Screens were done with Samson 50. IMPORTANT - gloves and boots weren't changed If you notice any clippings or something just write here or in personal messages. Refits of clothes of default Skyrim will be added later. INSTALLATION Drop files to Skyrim folder UNINSTALLATION As usual delete files added by archive. Description So, finally I got the permission from rydin. Just the refit of Rydin Underwear for Men Pack You'll need the original file to use this mod. Also, special thanks go to urieldover for removing SOS dependancy.